Transparency International is an international non-governmental organization. It was established in 1993 AD. It is the global civil society organization leading the fight against corruption. It monitors and publicizes corporate and political corruption in international development.It publishes an annual Global Corruption Barometer and Corruption Perception Index, a comparative listing of corruption worldwide. The headquarters are located in Berlin, Germany.The organization defines corruption as the abuse of entrusted power for private gain which eventually hurts everyone who depends on the integrity of people in a position of authority. Transparency International consists of over 100 locally established, independent national chapters as well as an international secretariat in Berlin, Germany. Each chapter tackles corruption in their respective country, constructing methods relevant to their national context in order to bring about change. The secretariat provides support and cooperation among chapters, as well as collaborating with these chapters in order to approach corruption on a global and regional scale. Transparency International is the global civil society organization leading the fight against corruption. It brings people together in a powerful worldwide coalition to end the devastating impact of corruption on men, women and children around the world. Transparency International's mission is to create change towards a world free of corruption.Transparency International does not undertake investigations of single cases of corruption or expose individual cases. It develops tools for fighting corruption and works with other civil society organizations, companies, and governments to implement them. 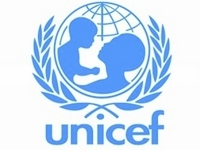 United Nations International Children's Emergency Fund (UNICEF) was founded on 11th December 1946 A.D. in New York, USA. It is a United Nations Program that provides long-term humanitarian and developmental assistance to children and mothers in developing countries. It is one of the members of the United Nations Development Group and its Executive Committee. It was created to provide emergency food and healthcare to children in countries that had been devastated by World War II. Ludwik Rajchman, a Polish bacteriologist, is regarded as the founder of UNICEF and was its first chairman from 1946 to 1950. It protects child rights as well as takes care of women. It improves the health of children and develops their skills. It conducts various programs regarding nutrition, primary health care, and vaccination. It protects children from being tortured or exploited. Save the Children Fund is an international non-governmental organization. It was founded in London, England, on 15 April 1919 by Eglantyne Jebb and her sister Dorothy Buxton as an effort to alleviate starvation of children in Germany and Austria-Hungary during the Allied blockade of Germany of World War I which continued after the Armistice. It promotes children's rights, provides relief and helps support children in developing countries. It promotes policy change in order to gain more rights for young people especially by enforcing the UN Declaration of the Rights of the Child. Alliance members coordinate emergency relief efforts, helping to protect children from the effects of war and violence. Save the Children has general consultative status with the United Nations Economic and Social Council. Transparency International is an international non-governmental organization. United Nations International Children's Emergency Fund (UNICEF) was founded on 11th December 1946 A.D. in New York, USA. 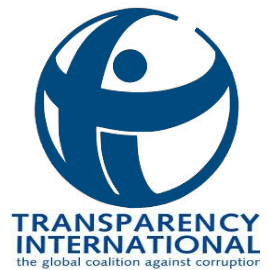 Transparency International is the global civil society organization leading the fight against corruption. Save the Children Fund is an international non-governmental organization which was founded in London, England, on 15 April 1919 by Eglantyne Jebb and her sister Dorothy Buxton. What are the main area of UNICEF in Nepal? List the functions of UNICEF. It conducts various programs regarding nutrition, primary health care and vaccination. Write in short about Save the Children. Write in short about UNICEF. Transparency International was established in ______. Transparency International is the global civil society organization leading the fight against ______. The full form of UNICEF is ______. UNICEF was established on ______. 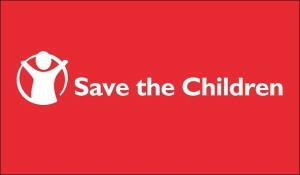 Save the Children Fund was established on ______. Programmes conduct by transparency international to stop corrution in nepal? Programmes conduct by transparency international to stop corruption in nepal? Any Questions on 'International Organizations '?